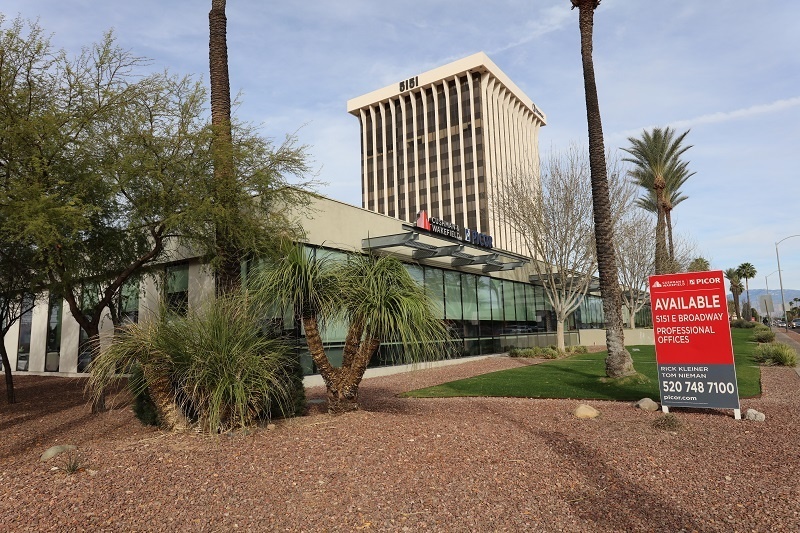 Improvement in the Tucson office market's performance continued into Q2 2018. Positive year-to-date absorption of 146,400 square feet (sf) improved the overall market vacancy a full 50 basis points to 8.4% from last quarter’s 8.9%. Vacancy reached its lowest mark since Q3 2008. Inquiries regarding for-lease space are generally increasing while landlord concessions are moderating, reflecting an office market beginning to lean in the landlord’s favor. 5151 East Broadway completed the quarter’s largest lease, with Bayview Loan Servicing taking 41,000 sf. At $77.9 million, sales volume for the first half of 2018 was very strong by historical standards and 58.9% ahead of the first half of 2017. Average cap rates in 2018 have been 7.6%, the lowest since 2009 when they dipped below 7.0 percent. On the horizon, Bourn Companies will be breaking ground on GEICO's new facility at The Bridges. Caterpillar’s Tucson Mining Division headquarters is on schedule for occupancy in early 2019. A number of new projects, including Amazon’s new distribution center, are elevating Tucson’s regional and national presence as a viable market. Arizona has enjoyed impressive growth in population and income, ending 2017 with job growth at a strong 2.4%. This upward trend continues in 2018, where job gains in the 2.5% range seem likely at year’s end. Tucson’s unemployment rate now sits at a healthy 4.6% level (US Average 3.8%). Similarly, population growth approximates 1.5%, while personal incomes are also making strides, rising at a 4.3% clip. Arizona continues to outpace the national average in these key indicators. Expansionary fiscal policy poses a potential risk to this continued prosperity at a time when labor markets are significantly tightening. This policy may result in increasing inflation, which is being carefully monitored heading into 2019. We expect continued market improvement with higher velocity, business volume and consumer confidence. Tucson’s evolving healthcare landscape will be a significant change agent. Ongoing changes in market-wide healthcare delivery will impact space utilization and decisions on consolidation and physician hiring, potentially concentrating medical practices on and around hospital campuses. Downtown Tucson will continue to shine brightly for demand and development. We anticipate robust activity in Maricopa County to have a positive effect on the broader region. Finally, with continued job growth, we encourage state and local municipalities to focus on incentive initiatives aimed at attracting additional regional and national employers.